Text TRAVEL42 to 95577 for more info or click here for full details! 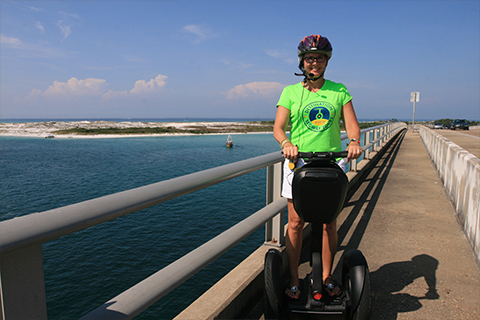 Take an afternoon Segway Tour through Destin with your choice of: The Summer Breeze Tour or The Shore Thing Tour. 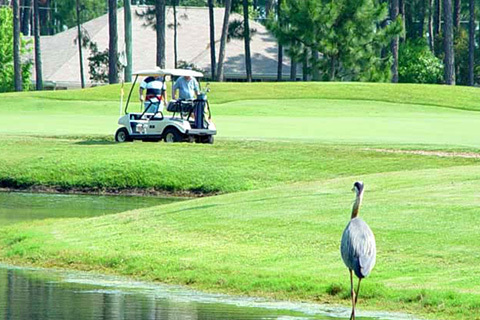 Both tours include an afternoon glide through the heart of Destin and over the Destin Bridge! “The Shore Thing Tour” includes some free ride time and water access at the park, so wear your swimsuit if you want to take a quick dip in the water! 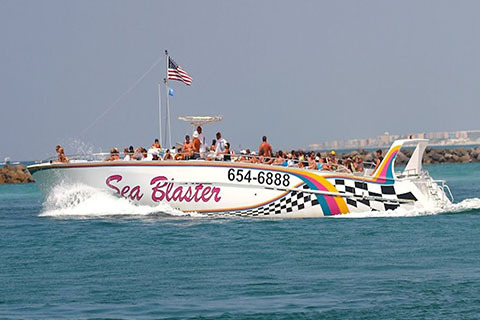 Climb aboard Destin’s ORIGINAL Sea Blaster for a fun and exciting cruise with Capt. Larry, searching the Emerald Green waters of the Gulf of Mexico along the sugar white sand beaches of Destin, Florida, for the most playful dolphins. Our seventy-three foot passenger boat carries up to 119 passengers, is the Gulf’s largest speedboat, and offers an array of fun for the entire family. The Sea Blaster offers snorkeling and dolphin cruises, beach and dolphin cruises, and relaxing sunset dolphin cruises. 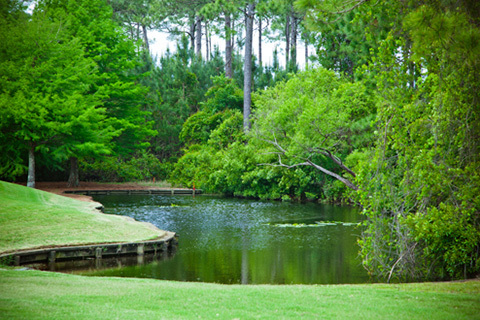 Golf Garden is a Par 3, nine-hole executive golf course. 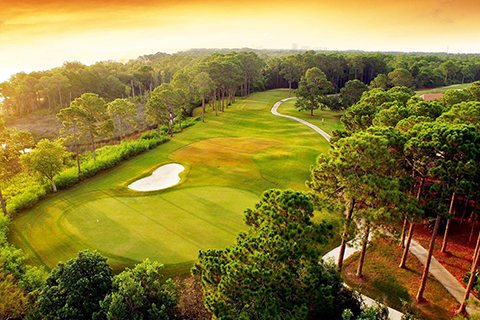 It is a short layout of 1,591 yards with three sets of tee boxes. Night golf is available Memorial Day to Labor Day with a lighted course. 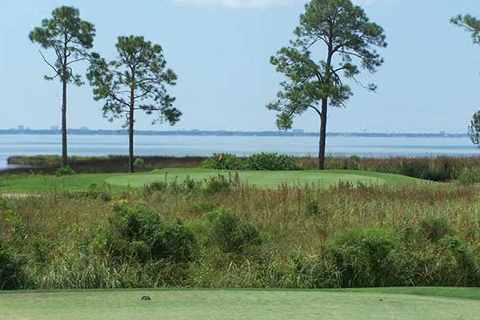 Regatta Bay is a Par 72, 6,894 yard course on the shores of the Choctawhatchee Bay. 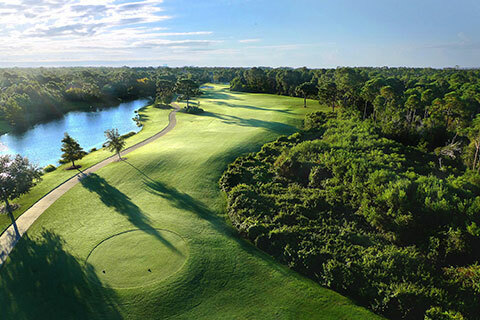 Whether you are a scratch golfer looking for a challenging layout or a weekend golfer looking for a relaxed round with highly manicured surroundings and breathtaking views, this is a “must stop” for every vacationing golfer.